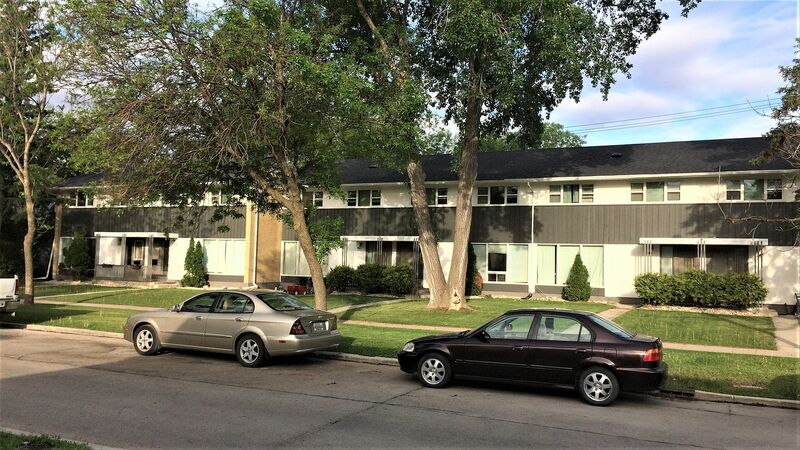 This collection of residences is a subdued and charming example of mid-century modernist Winnipeg design. The firm responsible for its design, Blankstein and Coop, was a small office comprised of Isadore Coop and Morley Blankstein, both University of Manitoba School of Architecture graduates who studied in the early 1950s under noted German-American modern architect Ludwig Mies van der Rohe. 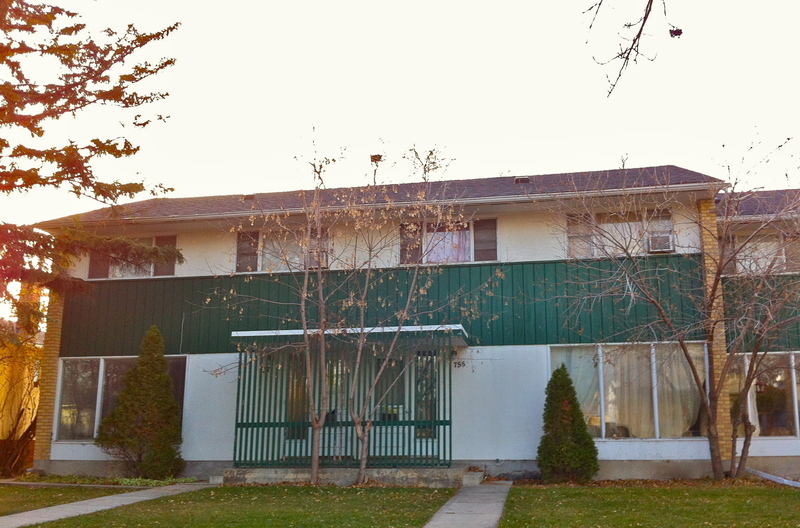 John W. Graham, in his 1960 book A Guide to the Architecture of Greater Winnipeg says of this set of row houses: "This unit of six homes is a hopeful indication that multiple units combined with single family dwellings may yet emerge in the Winnipeg residential pattern. The handsome materials and details of this design should encourage others to further the movement. 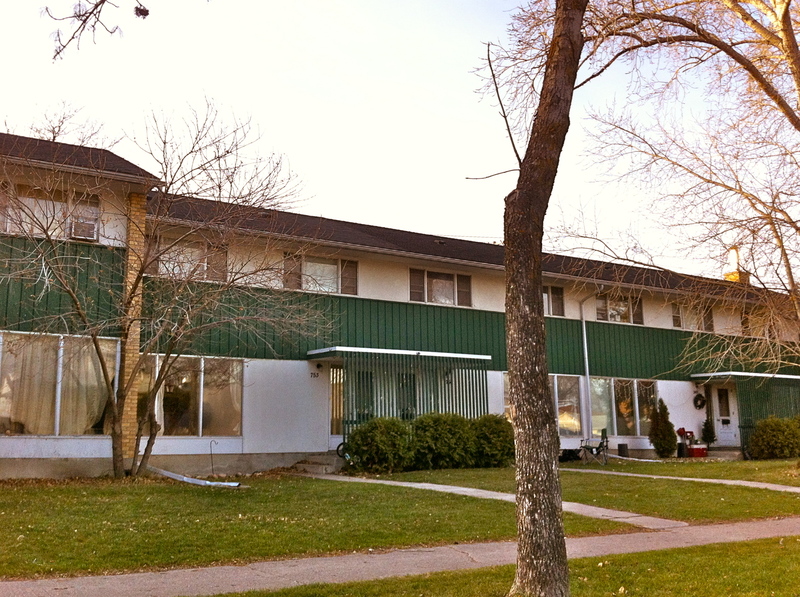 River Heights is a neighbourhood in Winnipeg’s southwest quadrant with a population of approximately 56,000. It is located south of the Assiniboine River, west of Cambridge Street, east of Edgeland Street and north of the Canadian National Railways mainline. Historically the area was one constituent in the larger Parish of St. Boniface, though by 1882 it had been annexed by the City of Winnipeg. A key role in the neighourhood’s development was the firm of Howey and Borebank, who instigated the sector’s subdivision in the first decade of the twentieth century. 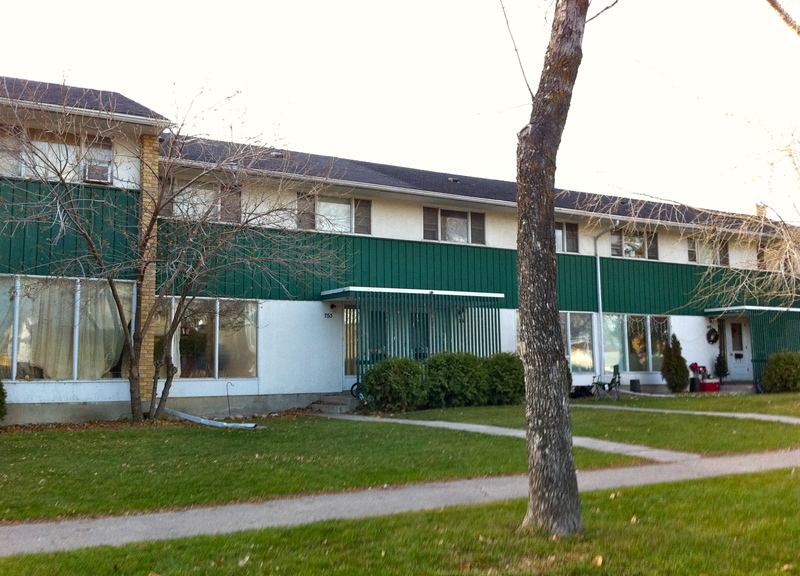 The firm advertised the area thusly: “The property being high, well wooded and yet within twenty minutes of the business centre makes it a most desirable residential section.” This early growth was facilitated by the establishment of Assiniboine Park in 1904 and construction and expansion during this period of the Academy Road streetcar line. Another element in selling the area was the creation of Wellington Crescent as a prestige home location, treated as a “magnificent drive leading out to the new suburban park” of a width near three times that of a regular road. Over the proceeding decades the area grew south and eastward, reaching a population of 70,650 in 1971; at times this growth was facilitated by the National Housing Act. The neighbourhood contains a number of examples of modern architecture, exemplified in schools, religious structures and businesses, as well as in homes, particularly concentrated in the post-war districts located south of Corydon Avenue. Largely comprised of north-south oriented residential suburban streets, the area is known for its canopy of elm trees which line many of its boulevards.